How to Score the Granite Countertops of Your Dreams! Have you been wondering where to buy granite countertops in Dallas while being able to save? Well, you have to the right place. You see, there are a plethora of ways for you to buy these countertops Dallas without the worry of breaking your bank. With the right maneuver and tips, you should be able to install these countertops in no time. Just keep in mind, however, that the cost of granite is only part of the equation. You must also factor in installation, seaming and the type edging you want. This is why it is so important to save as much money as possible when purchasing and installing granite countertops. These tips will help you score the granite countertops of your dreams at a price you can afford. As with anything, the rarer the color of granite, the more expensive it is. Save money on your project by keeping an open mind when it comes to color selections. Meaning, try to focus on how you can update other areas of your kitchen or bath to coordinate with the granite rather than trying to find a stone that works with your current decor. 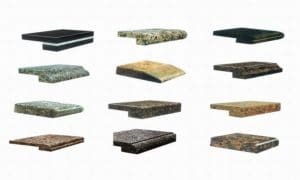 Many times, refinishing your cabinets or flooring and choosing a more common, thus cheaper, stone for the counters is less expensive than finding that perfect slab to coordinate with existing finishes. When you buy wholesale granite countertops you can save a lot of money right out of the gate. 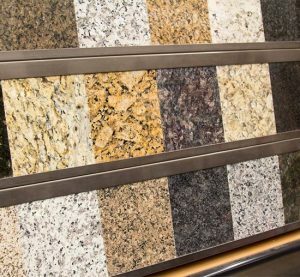 Many of homeowners come in worried they will not be able to afford granite countertops, only to find out that at wholesale prices granite is far more affordable. So how do you do this exactly? Well, that is by buying directly from fabricators. They basically fabricate the countertop themselves, allowing them to sell at factory-direct prices. These are basically leftover from larger pieces used in another project. Ideal for smaller areas such as a kitchen island or bathroom vanity, these often are cheaper because there is not enough of it to do a larger project, such as a whole kitchen. As no two granite slabs are exactly alike, matching up remnants to cobble together enough for a large project is next to impossible, so remnants have limited use and a smaller price tag. You can buy granite remnants from most granite suppliers, but do not ever think of buying them from home improvement stores. That is because they sell granite at very expensive rates. The type of edge you have installed on your granite countertops can impact the overall cost. The most affordable option is a standard based edge, as opposed to a bevel or tiered edged. If someone tries to talk you into something fancier but you are already cutting it close on the budget, really think it over before splurging. So, what to know more about saving money while buying granite countertops in Dallas? Call us today at Hard Rock Imports. Not only do we offer factory-direct prices, we also have other options for you to buy affordable granite. Give us a ring for a free design estimate!